Salt Lake City has a solid economy with numerous major employers and substantial opportunities in its real estate market as a result. Personal income levels in this city are growing at a rate of approximately one percent per year. In addition, the unemployment rate is holding steady in Salt Lake City at less than three percent. These are contributing factors that make this one of the hottest real estate markets in the country. Property values are appreciating at a rate of 4.3 percent. Orlando is another hot real estate market to take a closer look at. This beautiful Florida city has an astounding property appreciation rate of 5.7 percent currently. Some of the driving forces behind this popular real estate market include an unemployment rate of 4.5 percent and personal income growth at one percent. Jumping back up to Utah, Provo is another top contender to pay attention to when analyzing the market. It boasts a property appreciation rate of 4.3 percent this year. With its unemployment rate at 2.7, its strong economy and personal incomes growing at one percent, this is a market that deserves your attention. Seattle has a solid property appreciation rate of 5.6 percent, but you should enter this market with care. Some experts feel that housing prices are overvalued in this area and that the pricing is too high for the overall income level. Nonetheless, the city is home to many major employers, has an unemployment rate of 4.4 percent and a personal income growth rate of one percent. Nashville is a vibrant, growing city that offers great culture and ample job growth through major employers. The property value growth rate is at 4.3 percent this year. In addition, it has a personal income growth rate of 1.1 percent and an unemployment rate of approximately four percent. Conducting economic research into the hottest real estate markets in the country is important if you want to learn more about the national economy as a whole or if you are looking for a great location to focus on for personal investment activities. As you can see, there are exceptional major markets that have dramatically rising property values. However, there are other factors to consider as well before you jump into a market. Take time to fully analyze all aspects of a market before you invest your funds. 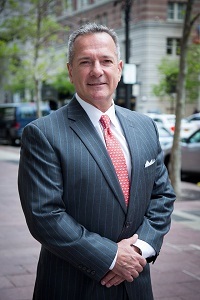 Daniel Palmier is a leading Boston CEO, Real Estate Investment Manager, and Founder of UC Funds. This entry was posted in dan palmier, real estate and tagged Daniel Palmier, real estate. Bookmark the permalink.